Italy - Eighteen Sound SRL of Reggio Emilia, Italy, has appointed Pierpaolo Marziali (pictured) as their new CEO. 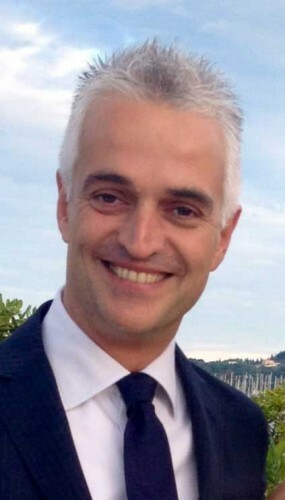 Mr. Marziali, a native of Macerata, Italy, and a graduate of the Alma Graduate School in Bologna with a masters degree in finance, has been a member of the Landi Renzo Group since 2008. He brings to Eighteen Sound extensive experience in corporate business development as well as finance, in his prior role at Landi Renzo S.p.A., the corporate headquarters. Throughout the past twelve months, Marziali has been working closely with Antonia Fiaccadori, the previous CEO, and Eighteen Sound management, on growth strategies and a five-year business plan. "At Eighteen Sound I found a challenging environment, with very skilled and passionate colleagues. Antonia did a great job preparing all of the elements that a company in this high-end sector needs to innovate, develop and market professional audio transducers with exceptional performance." Marziali further noted: "I think that we will have good times in our future, as we continue to be one of the leaders in this highly specialized quadrant of the audio industry: the world of music, is my preferred and greatest passion." Antonia Fiaccadori, who will remain on Eighteen Sound board of directors as president, underlined the reason for Marziali’s appointment. "I am extremely pleased that Pierpaolo has joined Eighteen Sound to take over the CEO leadership role at this important growth point of the company. His work through the past twelve months in the company, coupled with his broad base of experience and understanding, will be essential to our forward momentum and accelerated expansion."